The spark arresters nest on top of the stove pipe. They provide a screen to help block hot embers from burning your tent or worse. The spark arresters also have a wind-rain-snow shield on top of them. The shield can be adjusted for the direction of the wind or it can also turn sideways allowing the spark arrester to be stored in a smaller area. Choose the size for the top of your pipe. 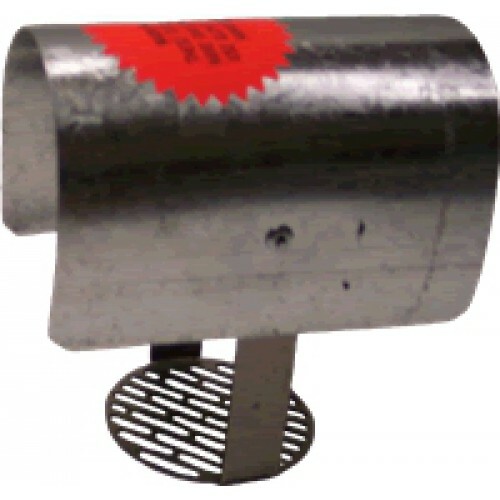 If you are using our 5" to 4" tapered pipe, you will need our 4" spark arrester. If you are using our 3" to 2" tapered pipe, you will need our 2" spark arrester.